Xatu in game: 386 Who? Important notice! 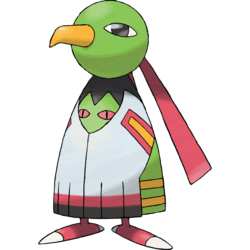 Pokemon Xatu is a fictional character of humans. Xatu tends to stand still all day. One theory explains that Xatu can see into the future with its right eye and the past with its left, and it does not move due to fears of its visions of the future coming true. The anime has shown that it can communicate its by moving its wings in a semaphore fashion. 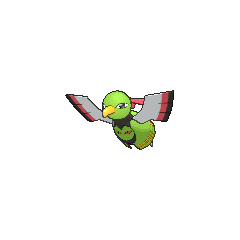 Xatu is believed to be native to the forests of South America. 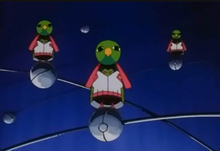 Xatu first appeared under the ownership of Calista, a girl who could predict the future in Xatu the Future. Xatu was seen in Me, Myself and Time under the ownership of another girl named Calista who traveled back in time to give her younger self a message. Another Xatu also appeared in Historical Mystery Tour! under the ownership of a Clown. Xatu was seen starring in an outer-space version of the movie "Titanic" in Lights, Camerupt, Action!. Xatu, along with three Natu, was used to signal the start of a Water Pokémon race in the movie Pokémon Heroes: Latios & Latias. A Xatu made a very brief appearance in the opening of Destiny Deoxys and Lucario and the Mystery of Mew. 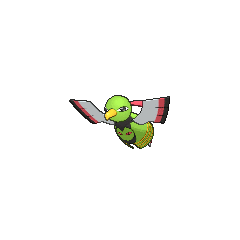 In Volume 14, Will uses a Xatu to fight Blue and Silver, but loses to a powerful Return attack. Two Xatu appeared in Popular Pupitar. 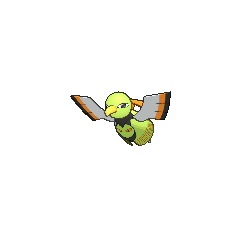 A Xatu appeared in The Last Battle XIII as one of the Pokémon sent to help the fight in Ilex Forest. 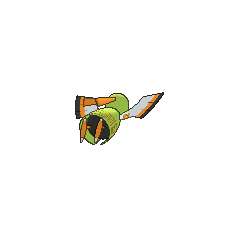 By the events of the Battle Frontier saga, Crystal's Natu had evolved into a Xatu, and with its augmented strength allowed faster flight for her. Pokémon Mystery Dungeon: Xatu lives on the Hill of the Ancients, located beyond the Great Canyon. 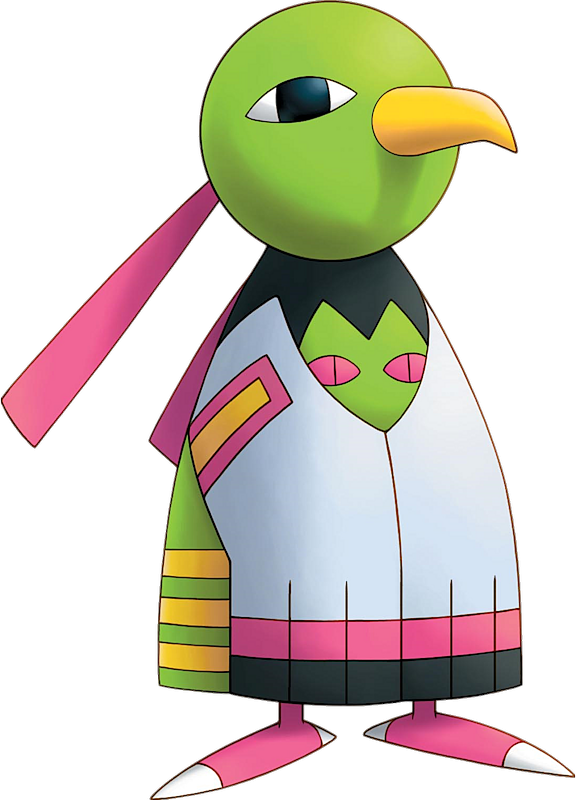 Xatu is well regarded as a wise Pokémon with the ability to see into the future. The player first consults Xatu in an attempt to learn why they were turned into a Pokémon. Later on, it composes the Teleport Gem to teleport the player to the Sky Tower. After getting the Clear Wing from Spinda, Xatu reveals that the player must first go to the three fields and face the lord of the areas (the legendary beasts). Xatu occasionally visits Pokémon Square for shopping and gave Meteor Cave its name on one of these trips. It seems to be based on a Resplendent Quetzal with design elements from a Native American totem or kachina. 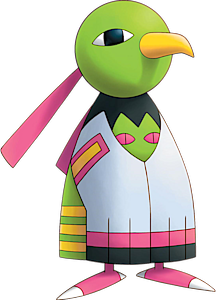 Behaviorwise, it displays the ancient art of Sun Gazing, a form of spiritual meditation practiced by the Aztec and Mayan peoples in the belief that it would give them supernatural power; this is referenced by the fact that Xatu is part Psychic. As revealed in a Penny Arcade Staff Podcast by Jeff Kalles, who assisted in the naming of many Generation II Pokémon, a Xat is a sort of Native American totem pole. Xatu's name arose from The Pokemon Company's desire to have one Pokémon for every letter of the alphabet.